Brent Dorr, Investigator for Synthetic Biochemistry at GSK. 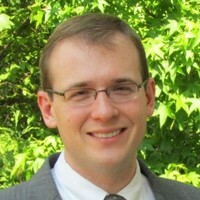 Brent Dorr is an investigator for Synthetic Biochemistry at GSK. As an undergraduate researcher at Vanderbilt University, Brent was interested in the use of computational tools to aid in protein engineering and pharmaceutical development. He was awarded the Charles Kennerly Memorial Scholarship to Vanderbilt and was a chemistry/biology/mathematics triple major in their class of 2008. He has worked with Dr. Jens Meiler on his project of de novo protein design, where he developed methods to integrate physical, statistical and biochemical data towards the design of novel protein structures. Brent was named a Goldwater Scholar in 2007 and was selected as a summer research fellow in the lab of Dr. Christian Griesinger at the Max Planck Institute in Gottingen, Germany. With his Hertz Foundation Fellowship, Brent received his PhD from Harvard University.